ASKO - Washing Machines For Sharp Prices At Premium Supplier ASKO! Front loading washing machines are favoured by Australians, and the innovative ASKO range is making a real statement in contemporary homes. The smooth lines and seamless exterior of ASKO washing machines are just the beginning, enticing users to explore multifunctional capability, energy efficiency, quiet operation and superior wash results. Continually building up grime and mould and costing hundreds of dollars to replace, a rubber bellow is the less than ideal choice. ASKO washing machines are derived from commercial washer technology which removes the rubber bellow. Our SteelSeal feature is available in every washer model and ensures a more hygienic wash by eliminating rubber door seals that degrade over time. What is better: Front or top load washing machines? A quality washing machine will last for years, making ASKO front loading washing machines the long-term economical choice. Front loaders use around half the water and far less energy than top loaders and are the preferred appliance for environmentally aware people. You will also save on shopping bills, as front loaders don’t have a central agitator that can chew up clothing. 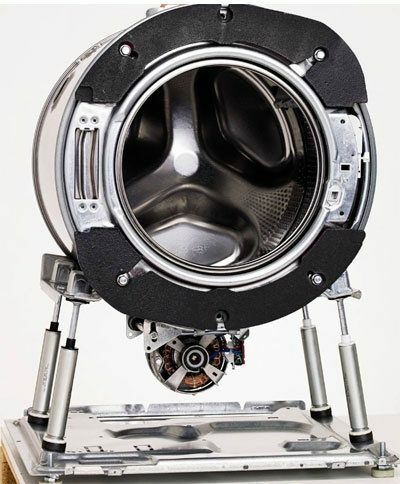 The larger cavity holds bigger loads for running fewer wash cycles, while gravity assisted spinning provides quieter operation and less wear on washing machine components. What size front loading washing machine do I need? The right size front loading washing machine results in maximum energy efficiency. If the machine is too small, you will suffer endless washing cycles, while an oversize machine will unnecessarily increase power bills. Here is an easy way to work out the best appliance for you. Step on the bathroom scales with the empty wash basket. Now, load the basket and step back on the scales. The difference in weight is the weight of your wash, comparable with washing machine specifications. ASKO front loading washing machines are available in 7kg, 8kg and 10kg models, ensuring every Australian household can make the right choice. How do I clean my front loading washing machine? 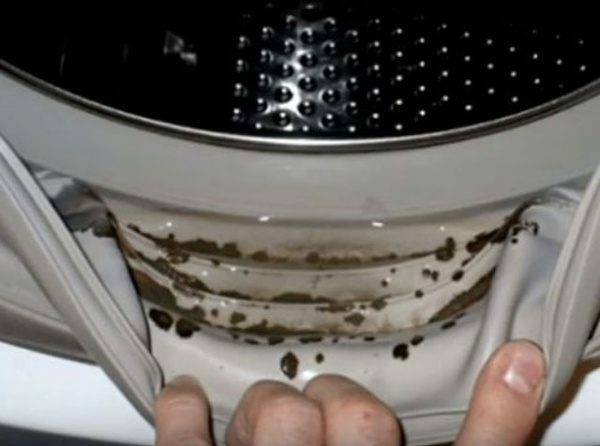 ASKO ingenuity includes development of self-cleaning appliances. 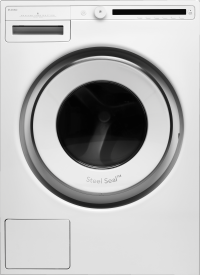 The best front loading washing machines are designed with a waterproof bottom plate, anti-block drain pump and overheat protection. 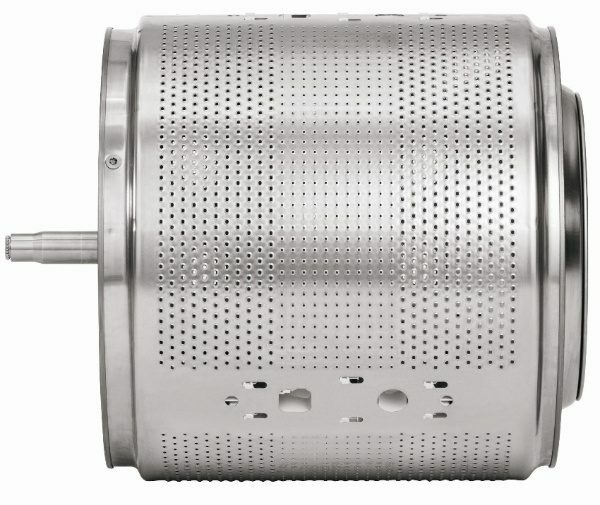 ASKO initiatives include a SteelSeal door for avoiding trapped grime, plus Active Drum technology that guides dirt and gravel through evacuation holes for removal. The water filter and detergent compartment are easily removed for cleaning, and the showroom appeal of the seamless exterior is simply maintained using a soft cloth and mild detergent. Washing machine considerations can be bewildering, particularly when consumers are often disappointed with variable quality and reliability of so-called ‘big name’ appliances. ASKO also provides laundry appliance options, but they are all high quality and famous for the right reasons, with minimalist Scandinavian style and contemporary kitchen appeal high on the list. How do I choose a washing machine? For most consumers, the first decision is choosing a front-loading or top-loading washing machine. Front loaders are now the preferred option for Australian households, and ASKO ingenuity that saves water and energy while providing a superior wash is in demand. You will need to investigate washing machine capacity to ensure the appliance is tailored to your household needs. Quiet operation is expected, and ASKO front loading washing machines are sturdy, with Quattro legs for all-sided support and stability. The difference is immediately noticeable, even during powerful spin cycles, where seamless stainless-steel components are always in sync. 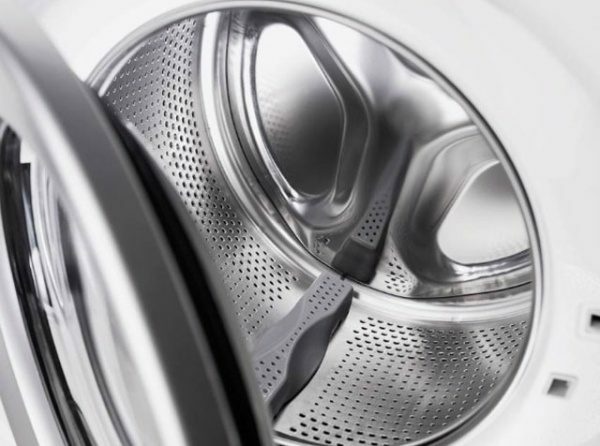 Australian appliances are scored according to their energy and water savings efficiency, with ASKO washing machines all achieving high-star classification. Your new washing machine should showcase the best of progressive technology alongside traditional workmanship that stands the test of time. 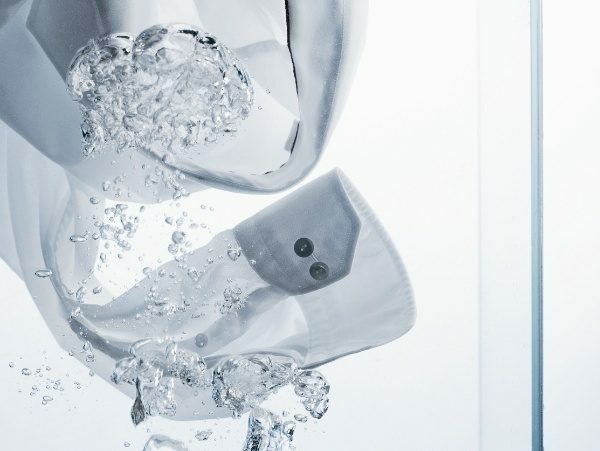 The programs, modes and functions available with ASKO washing machines are a quantum leap from outmoded, inferior products of yesteryear, known more for their ability to aggressively tear clothes apart and ultimately spin out of control. Form and function are both noticeable with ASKO appliances, where symmetry and style are one and the same. The best washing machine is the one that responds to changing household needs while lasting a long time. ASKO have been in the business of making washing machines since 1950, when Karl-Erik Andersson first created a superior, more durable appliance for his mother. His reputation quickly grew and the ASKO brand has remained among the most popular choices until today. It’s rare to get high brand appliances for an affordable price, so it’s no wonder Australians are designing new homes with entire ASKO pro series kitchens and laundries that match. The best washing machines are easy to operate and easy to clean, another reason why you have plenty of choices with ASKO. The quality and manufacture are unequalled, and all you need to clean is some light detergent and a soft cloth. The illuminated control panel is easy to navigate, allowing you to switch between programs or choose favourite settings. ASKO 7kg, 8kg and 10kg washing machines are smooth and alluring on the outside, while packing enormous power within, allowing you to get on with other things while your ASKO washing machine works its magic. What sized washing machine do I need? You can start narrowing ASKO options down by understanding your wash load needs. The classification of appliances as 7kg, 8kg and 10kg refers to appropriate wash-load weight and not the weight of the machine. You can easily work out the size that will suit you. Simply stand on your bathroom scales with your empty wash basket and take note of the weight. Now, place a regular size wash load in the basket, stand back on the scales and take note of the weight again. Subtract the smaller number from the larger, with the leftover being a good approximation of your average household wash size. Naturally, large and active families are good candidates for 10kg washing machines that take a load off your mind. It’s worth understanding however, that a large machine is most effectively water and energy efficient when washing full loads. For singles, couples, and small families, a 7kg or 8kg ASKO washing machine may be the ideal solution. A quick perusal of ASKO washing machines at your nearest reputable retailer will reveal a high level of consistency. All ASKO washing machines achieve enviable water saving-star ratings that only the best manufacturers can provide. Achieving the right balance between technology, power output, manufacturing quality and energy efficiency is no small feat, allowing ASKO to showcase the best products without distraction. It’s understood that front loading washing machines can use up to half the amount of water used by top loading appliances. In addition, the internal drum rotation and tossing of clothes isn’t impeded by the central shaft familiar in top loaders. 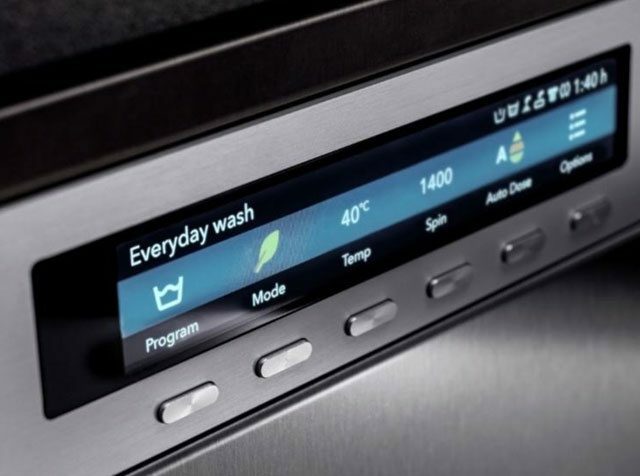 ASKO front loading washing machines get the job done using less water, less energy and better performance, allowing you to know you have a capable assistant on your side. Are ASKO washing machines reliable? It’s easy to get distracted when shopping for appliances. New shapes and forms come and go, while fancy buttons, handles and lights are designed to attract the attention. It’s important to investigate a little deeper however, and you will soon start to realise the cheaper features are more for show rather than function. You will discover that only the best washing machines provide the complete package, with ASKO worth serious consideration. Since the mid-20th century, ASKO washing machines have been built for reliability, durability and versatility. The enduring attraction of high quality components and workmanship can’t be imitated, making ASKO a stand-out performer in homes all around Australia. Check out the latest ASKO appliances and accessories at your nearest retailer and get ready to become inspired.